If you haven't been paying attention to the Oakland Athletics and their surprising path to Major League Baseball's postseason — you might want to do something about that before the A's take the field against the New York Yankees tonight (Wednesday) at 5 p.m. It's a one-game playoff. The winner goes on to face the Boston Red Sox in the American League Division Series starting Friday. The loser goes home for the long dark winter. Chris De Benedetti of the East Bay Express breaks down the narratives for the A's-Yankees showdown. The A’s-Yankees Wild Card Game ... could be one for the ages, as it offers more compelling story angles and subplots than a nighttime telenovela. Tim Keown of ESPN The Magazine with extraordinary insights into the A's clubhouse. Oakland's entire season was embedded in that silence. It was the silence of the muted skeptic, an I-can't-even silence that carried a message that hit like a sleeper wave: These guys — whoever the hell they are — aren't going away. Even in his pinnacle moment, it wasn't about him. He never wants to make himself too much a part of a moment that he thinks should be reserved and enjoyed by the players. Dave Sheinin of the Washington Post makes the case for the A's as the most fun team in baseball. 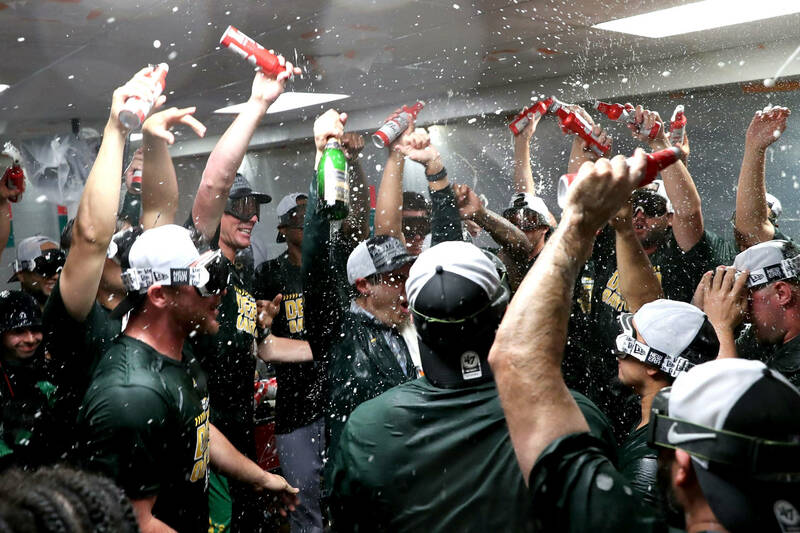 With their low profile, their decrepit stadium, their 10 p.m. starts on the East Coast and their bare-bones payroll that was the lowest in the majors on Opening Day ... the A’s are accustomed to being afterthoughts within the sport they are paid to play. Susan Slusser's poignant preseason story in the San Francisco Chronicle on Stephen Piscotty and his mother's struggle with ALS. Daniel Brown and Martin Gallegos of the Bay Area News Group do a little dugout anthropology on the A's curious rituals. As with bird calls and dolphin whistles, no one will ever fully understand the secret language of the A’s pre-game handshake ritual. The complex sequence of gestures, grunts, trills and male strutting continues to baffle baseball biologists. And speaking of Susan Slusser and Daniel Brown ... Can Netflix or Amazon please develop a series based on "rival sportswriters in love"? Wednesday's game will be broadcast on TBS and will air on 95.7 FM The Game.